Police in London are considering using eagles to take down drones engaged in criminal activity, taking inspiration from a Dutch initiative. A YouTube video of a trained eagle targeting a drone has been shown to Metropolitan Police Commissioner Sir Bernard Hogan-Howe, who was reportedly impressed by what he saw. A senior officer from the force has travelled to the Netherlands to explore the potential of a similar programme in the UK. The initiative is a “low-tech solution for a high-tech problem”, according to the Hague-based firm training the birds. The eagles view the drone as another bird of prey entering their territory. Their extraordinary eyesight means it is probable that they can actually see the rotors – so avoid getting in harm’s way by attacking the drone right in the middle. How big a problem is drone crime? Police forces around the world are growing increasingly concerned about the use of drones in criminal activity . In the UK, drones have been used repeatedly to attempt to smuggle prohibited materials into prisons. In November, guards at HM Prison Manchester intercepted a drone carrying contraband – including mobile phones, sim cards and drugs. There is also the risk that terrorists could turn to drones, as a UK-based think tank recently warned. Examples of suspicious drone activity have been recorded in both France and the UK, while ISIS has released videos showing the use of reconnaissance drones in Iraq. Other reports have suggested that burglars are using drones to spy on potential properties to target. 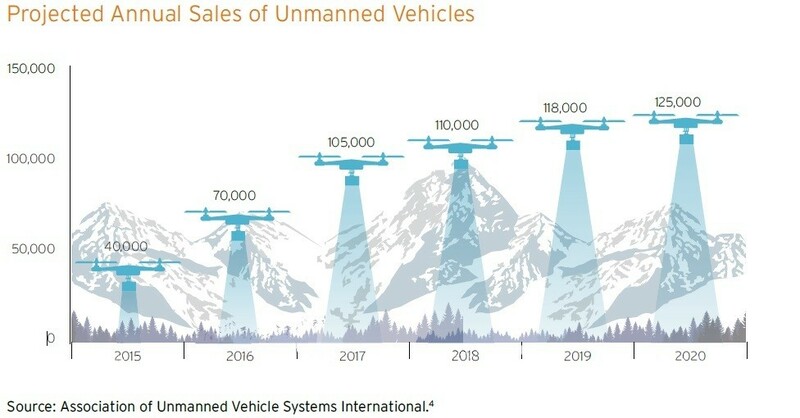 As drone sales around the world increase, calls for action are increasing – both in terms of day-to-day policing and legislative changes. The eagle programme is just one example of initiatives being explored. In Japan , Tokyo police have their own drone squad. The Metropolitan Police Department will be provided with net-carrying drones, which can locate and capture other drones. There are also calls for regulations and laws to be updated to deal with an increasingly crowded airspace. With near-miss stories growing in frequency, changes to the law are a hot-topic for aviation authorities. The International Civil Aviation Organisation plans to introduce policies designed to regulate civilian drone use – but not until 2028. National bodies are also stepping up action. The US, French and Italian civil aviation authorities – among others – have all made changes and announcements surrounding drone use. These include laws outlining maximum flight height, no fly-zones and tackling data-protection concerns. Can a drone have morals? Another question exists surrounding the ethics of drones – revolving around their use in warfare. This was the topic of the "What if Robots go to War" session at the World Economic Forum's Annual Meeting in Davos 2016. Armed drones are already commonplace in the skies above the world’s warzones, but the discussion focussed on the implications of lethal autonomous weapons. For Stuart Russell, Professor of Computer Science at the University of California Berkley, significant challenges remain. He raised the issues of whether robots are capable of following international law, whether they could ever have morals, the potential vast scalability offered by autonomous weapons systems, and questions of accountability. The onus was placed firmly on policy-makers to keep regulations up to date with rapidly emerging technologies. As the Dutch police have shown though, a high-tech problem doesn’t necessarily need a high-tech solution. What if Robots go to War? 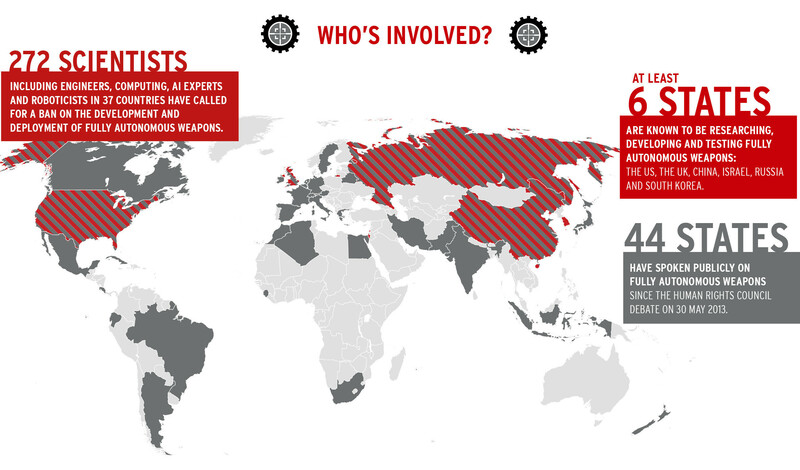 Robots in war: the next weapons of mass destruction?